Born in Amagasaki, Japan, in 1924, Shiraga cofounded the Zero Society (Zero-kai) with Saburō Murakami and Akira Kanayama in 1952. 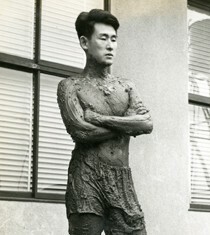 In 1955, he joined the legendary collective Gutai (Gutai Art Association) and made a series of revolutionary works that the art historian Reiko Tomii calls “performance paintings,” including Challenging Mud (1955), in which he wrestled with several tons of mud, and Red Logs (1955), a structure made of wood logs that Shiraga hacked into with an ax. His distinct and inimitable style of foot painting emerged the year before, in 1954. Aware of Jackson Pollock since 1951, Shiraga—like his contemporaries Robert Rauschenberg, Cy Twombly, and Yves Klein—sought to create work that moved beyond the vocabulary of Abstract Expressionism. He succeeded in creating paintings of great innovation with his unique style, which involved sliding, spinning, and swirling his feet in mounds of oil paint on large sheets of paper and canvas laid on the floor while clinging to a rope suspended from the ceiling. By the time of his 1957 “performance painting” on stage, Sanbasō-Super Modern, Shiraga was among the most avant-garde artists working anywhere, and his work was drawing international attention. 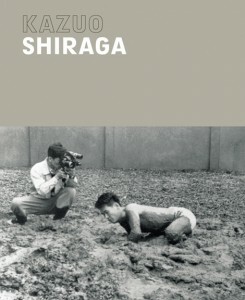 Shiraga’s work was first introduced to the American public under the auspices of a Gutai exhibition held at Martha Jackson Gallery, New York, in September 1958. His work was dismissed as derivative and his great originality went unrecognized, in what amounted to an extraordinary misreading. However, having realized a means so unmistakably his own, Shiraga continued to refine and rework his signature style for the remainder of his long career, creating challenging paintings of visceral energy and visual power. 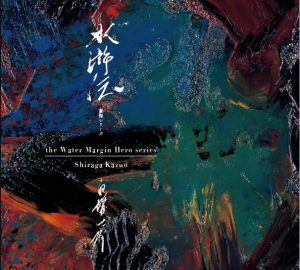 Shiraga’s six-decade career proved enduringly provocative and successful both in Japan and in Europe. Until recently, however, his work was largely overlooked in the United States. 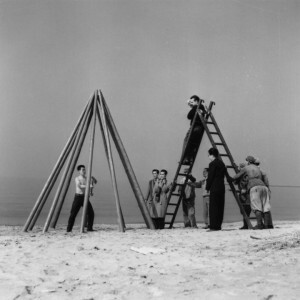 It has been included in numerous group exhibitions, most recently Destroy the Picture: Painting the Void, 1949–1962, Museum of Contemporary Art, Los Angeles, 2012–13; Tokyo 1955–1970: A New Avant-Garde, Museum of Modern Art, New York, 2012–13; and Gutai: Splendid Playground, Solomon R. Guggenheim Museum, New York, 2013. Solo museum retrospectives have taken place at the Musée d’Art Moderne, Ville de Toulouse, 1993; Hyogo Prefectural Museum of Art, Kobe, 2001; and Yokosuka Museum of Art, 2009; and Dallas Museum of Art, 2015. Kazuo Shiraga and the Gutai Group: has the market peaked?